Where the waters of the Delaware Bay once rushed through a dune breach into the Prime Hook National Wildlife Refuge, a freshly constructed beach planted with neat lines of dune grass now defends the northern edge of the preserve from the flooding that almost wiped it out just a few years ago. Contributor Jon Hurdle and Delaware Public Media's Tom Byrne discuss the impact the restoration of Prime Hook Nat'l Wildlife Refuge is having on the preserve and surrounding area. To the south, acres of brown marsh grass line the western shore of Prime Hook Beach, replacing a wide expanse of open water that used to regularly flood the isolated community’s only road to the mainland but has not done so for the last two years. Receding waters have exposed mudflats, hosting shorebirds that have not been seen at the refuge for years; newly dug channels are attracting multiple fish species that can now find supportive habitat, and a rebuilt marsh is being recolonized by native species of plants. Two years after construction ended, the improvements suggest that the $38 million restoration of the refuge, the biggest project of its kind on the East Coast, is already achieving its goal of restoring habitat for migratory birds and other wildlife. In remaking the southern Delaware preserve, officials have also created a system that accepts the inevitability of sea-level rise and creates conditions under which the marsh will sustain itself – at least for the next few decades – as ocean waters rise. Rather than trying to hold back rising seas with walls or bulkheads, the designers of the Prime Hook project accept that even the wide new beach and dune won’t eventually be enough to stop the higher water and bigger storms that are forecast to come with climate change. Credit Courtesy of U.S. Fish & Wildlife Service, Prime Hook National Wildlife Refuge. So they have built up a marsh that is designed to absorb silt and sand brought in by waves that top the new sea defenses, creating the right conditions to regrow the vegetation that will help to absorb the bay’s expected assault on the coastline in years to come. The project’s managers from the U.S. Fish & Wildlife Service have no illusions that their design is a permanent solution to the steady inundation of coastal marshes by rising seas, but they say the plan represents their best shot at defending the refuge over at least the next 30 years. If it works – and the early signs suggest that it will – the project may become a template for other coastal preserves around the country, and will underline the value of marshes as a way of defending other kinds of coastline. By filling dune breaches, digging drainage channels, constructing the new beach, and building up a marsh on the western side of the refuge, officials have lowered water levels that shrunk the mudflats, marshes and woods that were intended to shelter migrating birds when the 10,000-acre refuge was set up in the 1960s. Mud flats are now reappearing at low tide, attracting species of birds that have not been seen in such numbers, or at all, for years, and allowing native species, notably the marsh grass spartina alterniflora, to recolonize areas where it has not been able to grow for a decade or more. Among the project’s successes, Wilson said, has been the appearance of the piping plover, a federally threatened shorebird in the mid-Atlantic region, as a breeding species. Twelve pairs nested at Prime Hook this year, fledging 29 chicks, a state record for a bird that was previously confined to Cape Henlopen State Park as a breeding species, and in smaller numbers. Wilson attributed the bird’s breeding success to the rebuilt beach whose shallow slope and coarse-grained sand provides ideal conditions for it to nest. The new channels, which help to regulate the flow of water through the refuge, are now attracting some species of fish including herring, American eel, hickory shad and perch that were not previously present. And native plant species including bullrushes and cattails are recovering in areas where salt water killed trees – creating so-called ghost forests – and allowed phragmites, an invasive reed, to move in. Phragmites are controlled at Prime Hook by spraying of herbicide, creating room for the native species to recover. The new natural system at Prime Hook is based on the expectation that the coastline, the beach and the marsh will all move westward as seas rise, and that adaptation rather than resistance will be the more successful approach. It may be too early to say whether the Prime Hook project will become a model for the defense of other coastal wildlife refuges or other stretches of coastline but there are signs of interest from the U.S. Army Corps of Engineers which is implementing many coastal-defense projects such as the periodic renourishment of beaches at Rehoboth and Bethany Beach. Rizzo said the Corps is now looking at the idea of migrating dunes rather than trying to hold back the sea by rebuilding dunes and beaches – a strategy, he said, that will eventually fail. He cited the Corps’ recent work at Broadkill Beach where a rebuilt dune is being undermined by storms and rising waters. Despite the early signs of success, Rizzo won’t characterize the restoration as a permanent solution to the flooding. The work was based on modeling a half-meter of sea level rise over the next 30 years, and that’s as far out as he’s willing to go, given official state forecasts for three feet of sea-level rise by 2100, and gathering global signs that the rate is accelerating because of melting polar ice sheets and rising temperatures. The Department Natural Resources and Environmental Control, which participated in the Prime Hook project, said the restored wetland will be more resilient to coastal storms and sea-level rise than the freshwater impoundments, and will have the capacity to respond to climate change. “The wetland may adapt to climate change without human intervention because it is now a more natural system, and one that can accrete sediment,” DNREC said in a statement. Brenna Goggin, director of advocacy for the Delaware Nature Society, said the project could become a model for other coastal communities that are searching for ways of defending themselves against rising seas. For now, visitors to Prime Hook are enjoying the returning wildlife, and the fact that it doesn’t flood any more. On the new dune at the end of Fowler’s Beach Road on the northern edge of the refuge, Chris and Peggy Lovergine said they have noticed the receding waters and the birds that are reappearing. Four years after Hurricane Sandy hit the Delaware Bayshore in 2012, federal officials completed a $38 million project restoring Prime Hook National Wildlife Refuge. Scientists expected the restored Fowler Beach area of the refuge to attract spawning horseshoe crabs and migrating shorebirds that feed off their eggs. What they didn’t expect to see – state endangered, regionally threatened piping plovers making the area their home. Delaware Public Media science reporter Katie Peikes reports on an unexpected biological response to a beach restoration project. The U.S. Fish and Wildlife Service is burning grassland at Delaware refuges to get rid of invasive species. 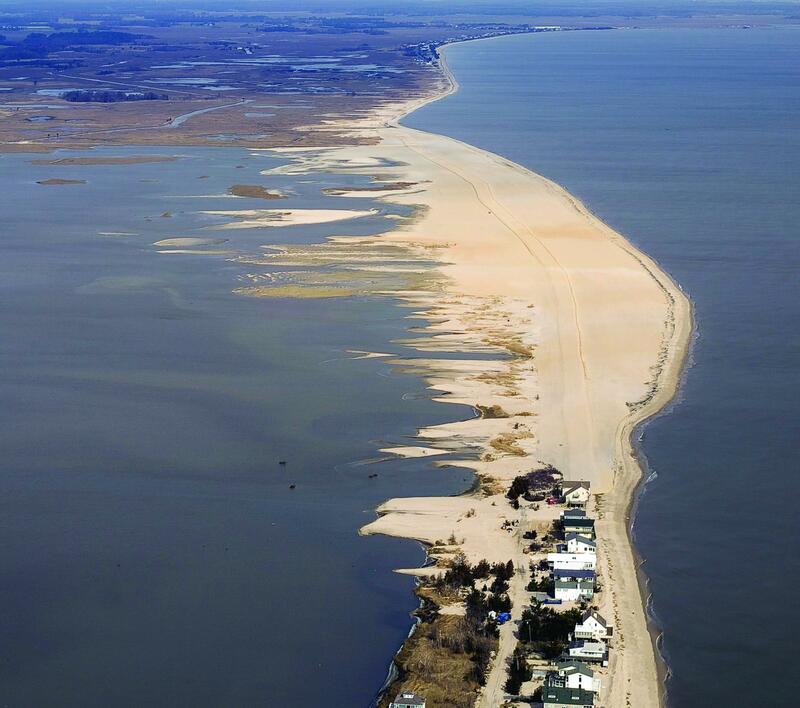 In 2012, Hurricane Sandy blew through Fowler Beach at Prime Hook National Wildlife Refuge, tearing it apart. By October 2016, most of a federal restoration project restoring 4,000 acres of the refuge was complete — repairing 25 miles of tidal channels and the damaged shoreline - making them more resilient to future storms. One of the benefits of a restored beach? A treasure-trove of horseshoe crabs as far as the eye can see. Delaware Public Media's Katie Peikes joined U.S. Fish & Wildlife employees on a horseshoe crab spawning survey to learn about the role horseshoe crabs play on a restored Fowler Beach. Restoration efforts at Prime Hook National Wildlife Refuge are complete and officials say it’s strong enough to withstand future storms. Officials call it one of the largest and most complex coastal restoration projects since Hurricane Sandy hit the eastern seaboard. Ranking of 2017's best restored beaches includes Prime Hook project. Courtesy of U.S. Fish & Wildlife Service, Prime Hook National Wildlife Refuge. This Memorial Day, people are flocking to beaches across America, but Prime Hook National Wildlife Refuge won’t be one of them. Delaware Public Media's Katie Peikes reports on Prime Hook's recognition as one of the best restored beaches of 2017.